The new name of College Eight will be Rachel Carson College, and it wasn’t a courtship, but it started with a cup of coffee. Rachel Carson College is named after Rachel Louise Carson, a marine biologist and environmental scientist. Lipshutz met with Claudia and Alec Webster of the Helen and Will Webster Foundation on a sunny day in January. Though Lipshutz had no plans at that time to convince anyone to give College Eight an endowment and name, the pieces fell together in his favor. “Around 2013, I decided that College Eight ought to be named after some environmental icon. 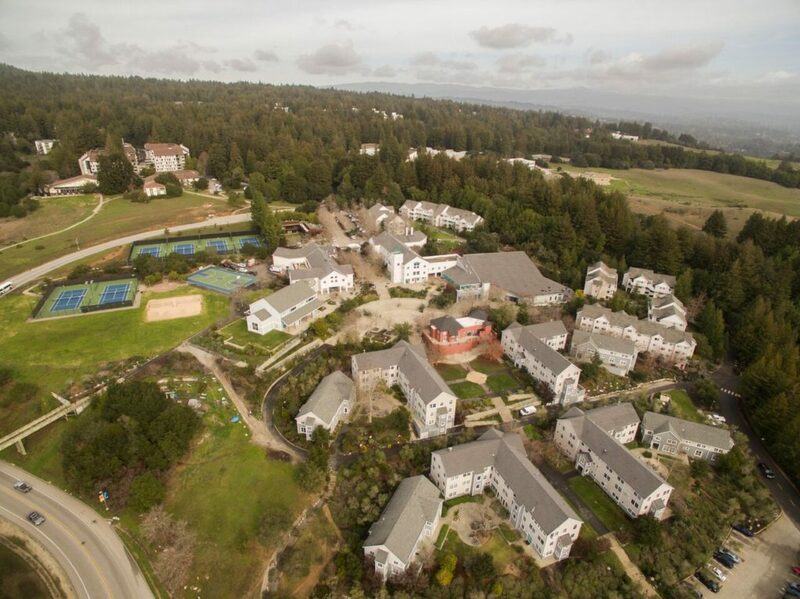 There was David Brower and others, but I thought a woman would be good [since there are] no other colleges named for women here at UCSC, and Carson was an obvious choice,” Lipshutz said. Carson is the author of Silent Spring, which, among her other works, is credited with advancing — and ultimately triggering — the environmental movement in the 1960s. Silent Spring in particular discusses the detrimental effects of pesticides on the environment and produced the Environmental Protection Agency. There must be an endowment to name a college. The Helen and Will Webster Foundation donated a $4.5 million endowment to naming Rachel Carson College, making it the second largest endowment behind Porter College. Alec Webster, the current trustee of the foundation, is a College Eight alumnus and environmental studies graduate. In March 2013, the Helen and Will Webster foundation donated $5 million to the Cowell Haybarn restoration and reinvention as a hub for environmental sustainability programs. In addition to the Webster’s endowment to name the college, Rachel Carson College will also receive an additional $1 million for an endowed presidential chair position — $500,000 from the Websters and $500,000 from the UC Office of the President. Rachel Carson College’s endowed presidential chair is a five-year term that stipulates that the elected chair will be someone who “teaches and meets the goals of the college,” but how and when the chair will be elected has yet to be discussed, Lipshutz said. The naming ceremony for Rachel Carson College will be held in early October.